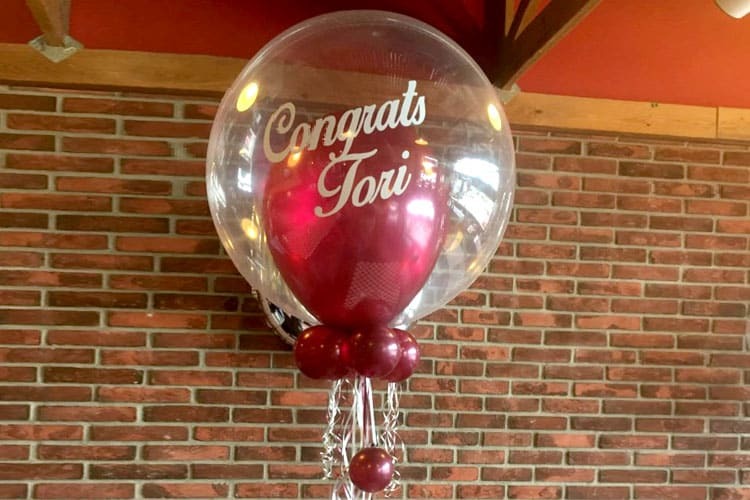 We created this Graduation Balloon Bouquet to celebrate our clients high school graduation. This was in addition to a number of other balloon decorations, but this was the centerpiece. We did a custom lettering job that our client loved!